You are here: Home / GN News / How will the new road fund affect you? How will the new road fund affect you? Despite initial objections to the new RABS, National Treasury has thrown its weight behind the proposed scheme – saying it will find the money, which is likely to mean a hike in the fuel levy and a heavy reliance on public healthcare. 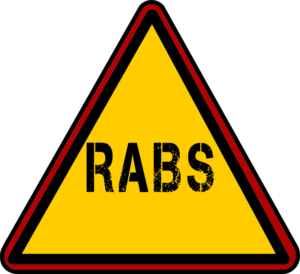 NEW SCHEME: The Transport Department has proposed replacing the Road Accident Fund with the RABS. 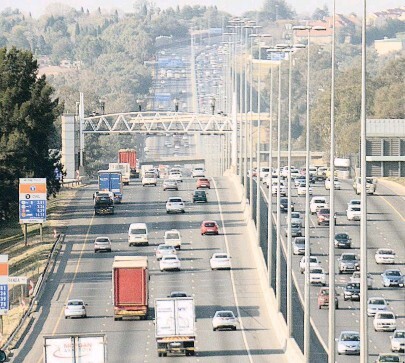 AFTER weeks of uncertainty about the Road Accident Benefit Scheme (RABS) Bill, which the Department of Transport has proposed to replace the current fault-based Road Accident Fund, Treasury has announced it would finance the scheme after all. The Treasury says it’s “satisfied” that all of its concerns about the scheme have been “adequately” addressed. The proposed system – which replaces the current fault-based liability insurance system with a no-fault social security system – has been punted as being more efficient and economical. The Transport Department wants to cut out personal injury lawyers, who it says are profiting heavily from claims against the RAF – which results in extensive litigation, prolonged claims’ finalisation and high administrative costs. Rights groups, personal injury lawyers, Outa, opposition parties and the Association for the Protection of Road Accident Victims (Aprav) – which represents the SA Medico-Legal Society, SA National Taxi Council, the Orthopaedic Association of SA, the Occupational Therapist Association, industrial psychologists and the Clinical Neuropsychology Association of SA – argue though that the proposed system will place a greater burden on taxpayers, require a steep hike in the fuel levy, offer fewer benefits to crash victims, and introduce more exclusions than the current system. They’re concerned that the RABS will abolish the right to general damages claims; limit claims for children, victims older than 60 and foreigners to emergency medical care; cap funeral expenses at R10 000; terminate benefits on the death of the beneficiary (leaving the defendants destitute); cap claims for loss of income support; offer zero cover for victims whose annual income exceeds R219 820; cease support benefits after 15 years; and exclude foster children from benefiting. It’s understood that the ANC wants to push through adoption of the bill before the 2019 elections. The public consultation process – described as a “sham” by critics – is complete and the bill was tagged to bypass the National Council of Provinces (NCOP) in an effort to expedite it. Gert Nel, an attorney representing the Law Society of the Northern Provinces in the matter – who has been following proceedings closely – says it’s now clear that the bill is going ahead, which should concern every single taxpayer. It’s not about lawyers losing out on work, he says: “We’ve made peace with that, but we’re worried about this as a human rights issue because most crash victims are desperately poor and illiterate – they don’t even have the money for taxi fare to come to our offices for a consultation. Last month, Treasury refused to sign off on the bill because it said RABS was unaffordable and unsustainable. It made “several recommendations” in respect of the sustainable funding needed for RABS and questioned the lack of proper board governance at the RAF. Pieter du Bruin – a psychologist who’s the chairperson of Aprav – said Treasury staff were “very diplomatic” as to how they raised the issue. “They made it quite clear that they don’t think RABS is affordable – they think fixing the RAF system and admin issues is better. Du Bruin says in Limpopo – a province of 8 million people – the public were given just three hours to comment. Nel says in terms of Section 56 of the bill it also does not allow for any financial assistance “to prepare and submit a claim or an appeal or to meet any requirement in this Act”, while Section 43 allows for a “very wide discretion to deny claims at will”. In order to take matters on appeal, claimants will be required to submit medico-legal reports which costs in excess of R5 000, which is simply “beyond the reach of the poor” he says. https://www.gertnelincattorneys.co.za/wp-content/uploads/2018/09/getimage.jpeg 363 405 Julie https://www.gertnelincattorneys.co.za/wp-content/uploads/2018/04/GNColourLogo.png Julie2018-09-03 08:39:172019-03-18 08:47:29How will the new road fund affect you?